Never loose your keys again with this Nightmare Before Christmas Jack and Zero Finders Keyper! 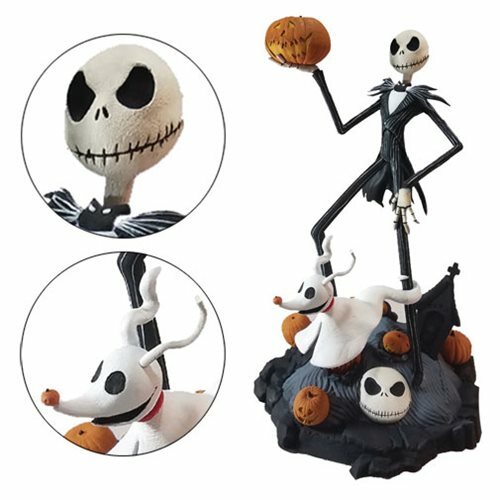 This terror-ific statue features Pumpkin King Jack with his ghost companion, Zero, by his side. The diorama base also features Jack's head as a removable key chain. Bring home a piece of Halloween Town with this Nightmare Before Christmas Jack and Zero Finders Keyper! Ages 14 and up.